When you meet William, he’ll undoubtedly be smiling. That smile springs from somewhere deep in the rainbow-coloured, vegan-meatball nourished recesses of his being, because he loves what he does. 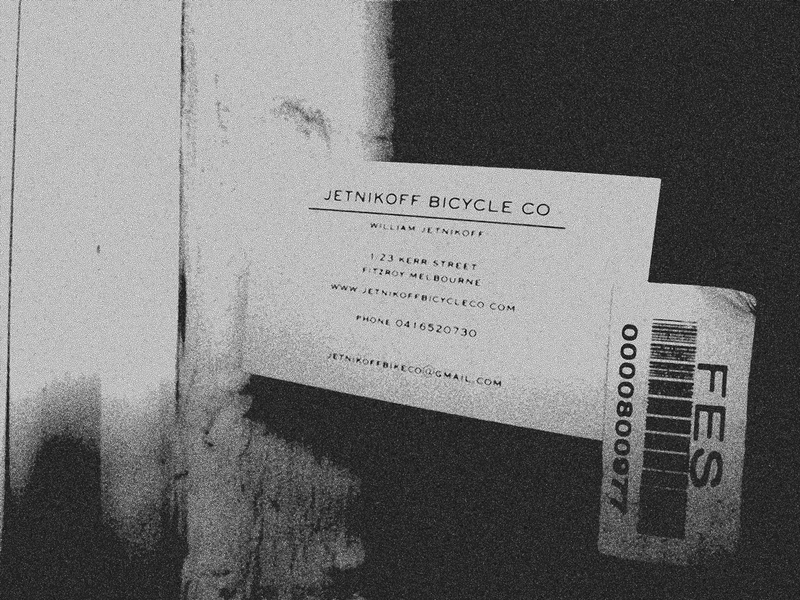 Will runs Jetnikoff Bicycle & Co., a quaint yet highly proficient bicycle-building business in Melbourne, VIC. I feel that bikemen such as Will could be likened to psychologists, but rather than psychiatric drugs (which are so passé) they prescribe lovingly assembled machines to quell the perfunctory rituals of big city life. In case you’re yet to board the Peace Train, an apt description of the biking lifestyle, I’ll take this opportunity to warn you that this notion is now no longer novel, and if you let slip a “Oh you ride a bike do you?? How odd! Jenny, come look! This girl rides a bike!” you’ll be shunned. Or at least whisked away by the cycling equivalent of a nun (me), then drenched in the cycling holy water (riding-induced sweat) and hopefully, find peace, on two wheels. As the old saying suggests, the skill of bike riding is not one likely to atrophy over time. Though while you’ll never forget how to ride, you may need a reminder of the unadulterated pleasure to be gained from zooming through air faster than a pedestrian, hair nearer to the underside of branches, eyes grazing the tops of fences allowing stealthy glances into another’s private haven and legs furiously and efficiently rotating. 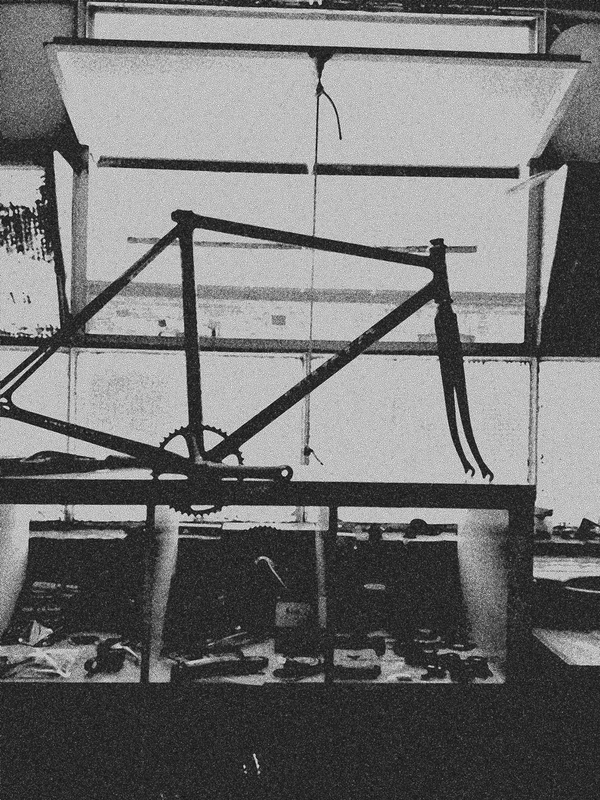 If you’re in the market for a bike and you live in Melbourne, Will’s your man. 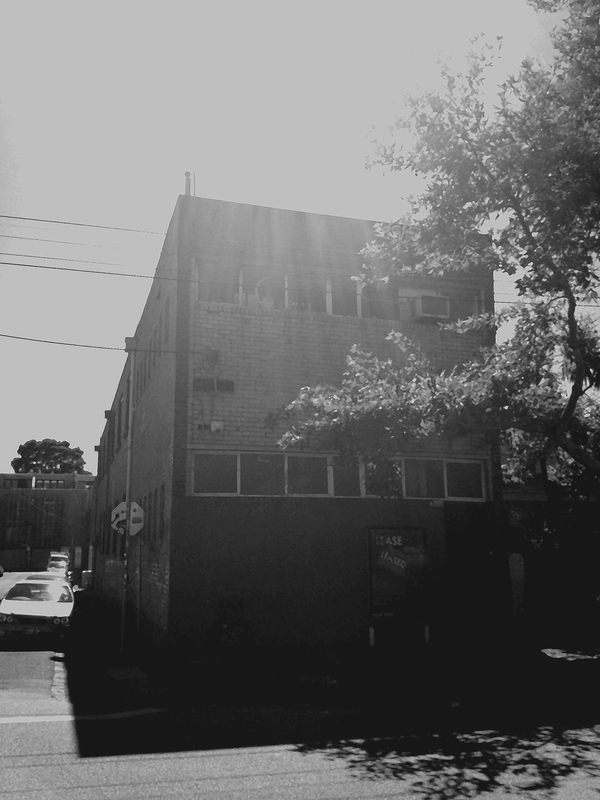 While his 2 x 6m space within Kerr Street studios in Fitzroy sports a healthy amount of intimidating biking paraphernalia (fair warning: this man speaks another language when he’s in the zone) there’s also a sprinkling of shiny, neon, pretty stuff that any Ride-around-Sally can appreciate. I spied a Dora-the-Explorer-esque fanny pack under the counter that I have my eyes on. Back off ladies. His allocated space, demarcated with alluringly 60s style black and white painted checkerboard flooring, seems to greet you upon entering. “What type of bike would you like?” it asks. “Okay, coming right up,” says Will, moments later. Like Will, your bikeman should be intelligent, genuine, enthusiastic and able to compose a contraption allowing you to ethereally glide, rather than one that transfers the impact of every pebble from the wheel to your crotch. Ouch. If you are unfamiliar with the former, speak with Will, he’ll sort you out. I am grateful to the vanguard of bike crafters that eschew the private motor vehicle for its obvious limitations and environmental impacts. As proponents of a ‘transport should be enriching’ movement, these crafters are required to be both an artist and a physicist. A tough gig, but one Will finds comfort in. Consider the bike your arsenal in the stagnant morning traffic. You’ll be able to tune out clichéd bellowing from that crusty driver in his chemically scented car, and swerve onward to your destination in the pastel daze the bike affords you, like one of Instagram’s hipster filters. All those wolf whistles are directed at you – they propel you forward, beads of sweat collecting around your helmet then disappearing in the breeze. Bliss. H&L: How would you describe bike riding to people who’ve never ridden before? W: Michael Jackson’s Thriller or Bad. And anything from Johnny cash is also good. H&L: Best non-tear bike undies? H&L: When you ride, do you find yourself noting landmarks? How do you think riding you bike changes your perception of the city? W: I note as much as I choose to while cycling, and I keep in mind to have a smile on my face while I cycle. I believe cycling through the city has given me a much clearer and more versatile view of the city. H&L: What are your favourite five things about your job? W: I love working with all of my customers to help them understand their bike or what type of bike they may want. Which also means I get to talk about something I am passionate about, bicycles. I have direct input into where my business is heading and can work directly with my customers toward that vision. I can also honour my commitments to all the people that come to see me and my little bicycle workshop. H&L: What are 3 rules for picking a bike that you might give a noob? Step 2 – Measuring them up quickly to find the right length of the top tube for them and the right size seat tube for them as well. Step 3 – Quick adjustments to get a good fit. I do this for all the bikes I build. H&L: What are your hopes for the biking community in Melbourne? W: I hope more people get into cycling and those already cycling take up other cycling formats of the sport, get involved in their local community, & more people start playing hard court bike polo. This will help get some specific courts made for the sport. H&L: Weirdest thing you’ve had stuck in your awesome beard? H&L: Most desired bike holiday destination? W: I love cycling in Tokyo, and would really like to cycle in Europe again. H&L: Can you recall your first experience with a bike for us? W: Being put on a bike that was way too big for me and my dad trying to teach me how to ride it. Even though my feet couldn’t touch the pedals. H&L: What’s your next project? W: I would love to open up a bicycle bar. Where you can buy a drink sit down and talk about bikes or come in and make your own. H&L: Can you please intimidate us with an exciting cycling phrase? W: I’m going to lube and slide this crankshaft into your bottom bracket. H&L: Anything else you’d like people to know about you and your business? 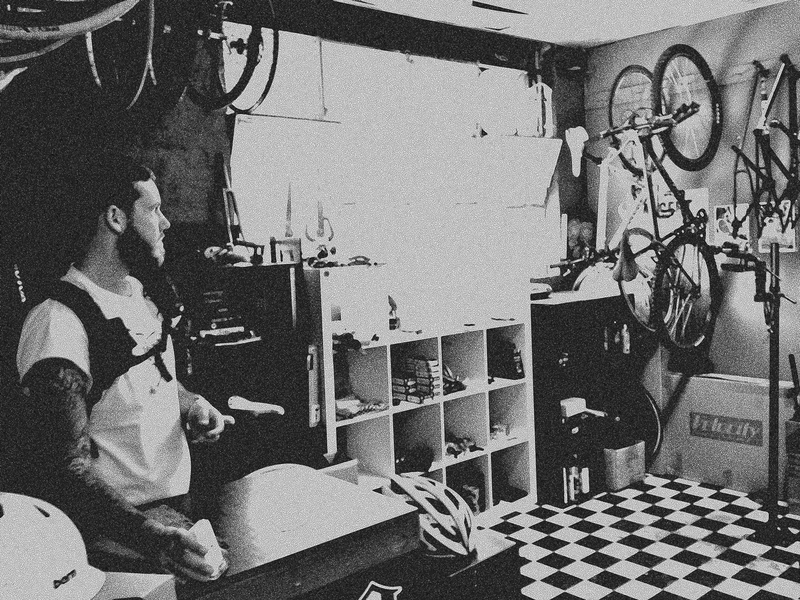 W: I stock tonnes of quality parts from around the world including some bike polo specific parts, and I can get anything your heart desires. 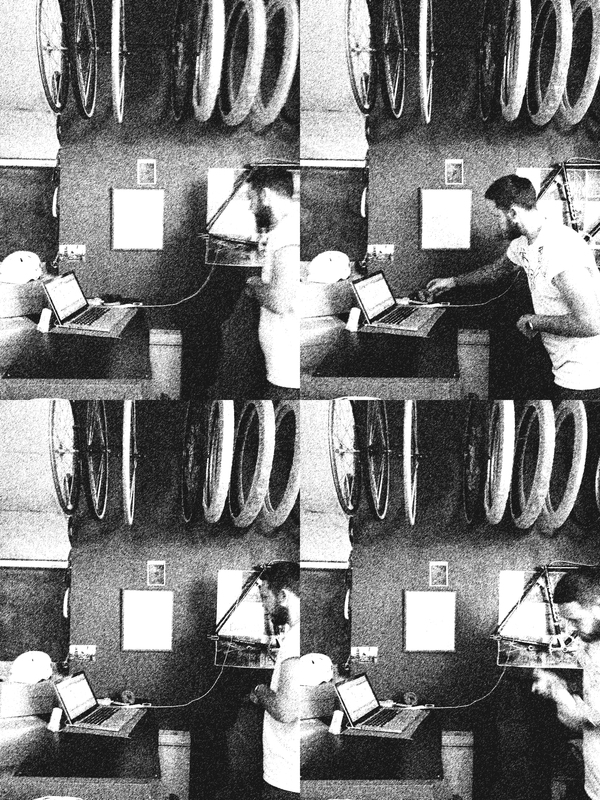 This entry was posted in Chat, Melbourne and tagged bike polo, bikes, community, creative, day trip, design, local, the city, time management, Transportation, travel.